On Linux and MacOS a configuration file will be stored in ~/.config/zbxsend/ by first use. 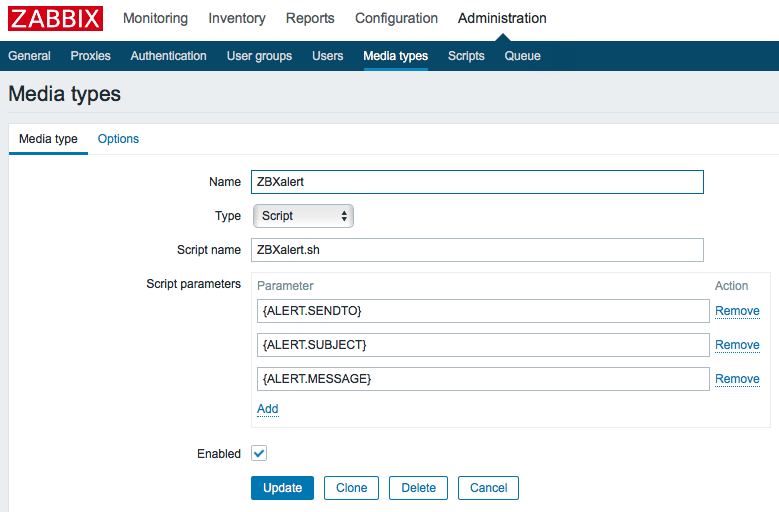 Write a script which passes all parameters from Zabbix to the ZBXsend commandline tool and place it in Zabbix alertscripts directory. For Linux systems you can download it from here. 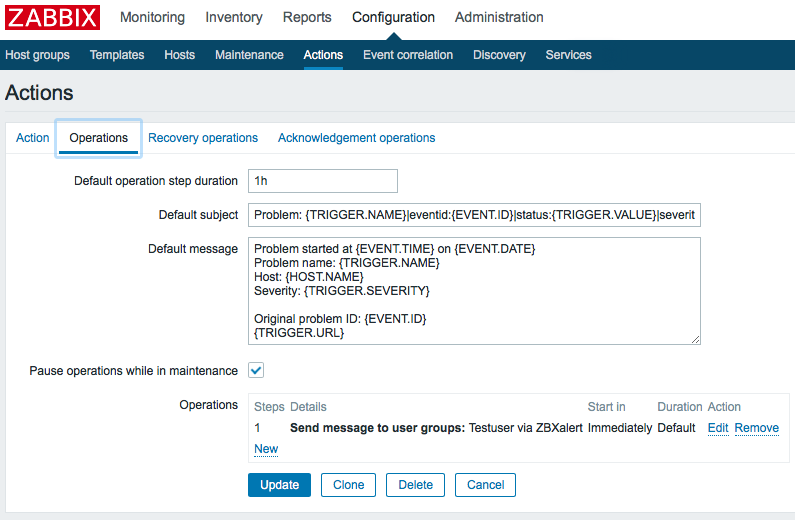 If your Zabbix instance is only reachable through a Proxy Server you can define the Proxy in configuration file. ZBXconnect is only working with direct outgoing internet connection. A connection to our backend is not possible through a Proxy Server. 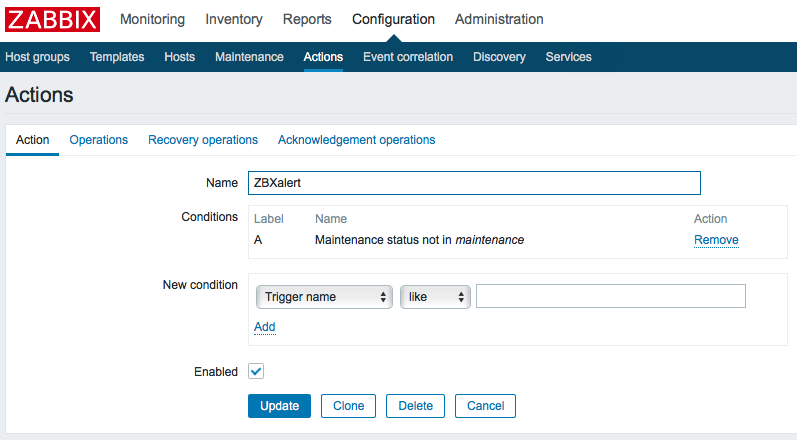 You can place ZBXconnect to a machine running in a DMZ with outgoing https allowed and Zabbix reachable through a Proxy Server.